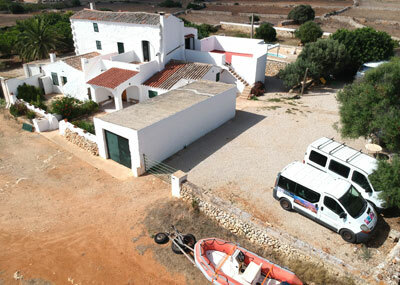 The Sanisera Archaeology Institute started in 1996 as a school for university students who wanted to be trained in archaeological fieldwork through the excavation of the Roman portuary city of Sanisera (Menorca, Balearic Islands, Spain). In 2004, due to the continuing success of its archaeological courses, the Field School became an international reference center and started giving its courses in English for students coming from, in most of the cases, Anglo-Saxon Universities, with programs in Archaeology and Anthropology, such as those from USA, Canada, Australia and United Kingdom. We are an Archaeological Field School which, year after year, expands its courses by offering students the opportunity to work and discover renown sites which present Classical Archaeology from different countries, where they can carry out their practices focused on specialized fields of knowledge that are related to their University degrees. We are not only in Spain, but we also have courses in France, UK, Italy, Germany, United Arab Emirates and Jordan. We offer students more than 15 courses that can enrich their CVs, validate university credits and get recommendation letters to enter the job market or get into prestigious scientific research centers. We have always supported the education of young students by creating work-based learning courses that can help them to acquire professional and soft skills. As a novelty this year, we are collaborating with several european colleges in order to develop school-work alternance programs that can increase the workplace skills of young students as much as their employment opportunities in the future.